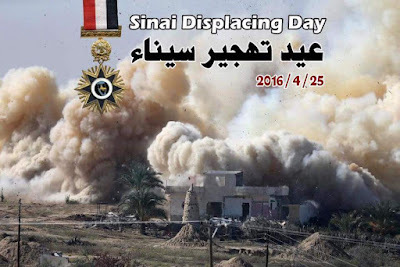 April 25th is "Sinai Liberation Day" in Egypt. 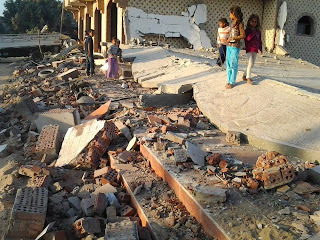 We are reminding you of the real Sinai today with some realities from on the ground. The western media and international activists even those with good intentions can't get over the discourse sold by the Egyptian state as well as the western so-called War on terror news and literature regarding “The Jihadi militants in Sinai”. While drones and F-16s are flying over and killing Egyptians in the cities of Rafah, El Arish, El Sheikh Zweid and others in Sinai, Sinai news stories are merely on “The Rafah crossing border”, or the "Militants in Sinai". Most recently you might see coverage on "ISIS in Egypt". Media commentators only know that there's an Egyptian group inside Sinai that's affiliated with the so-called Islamic State in Iraq and Sahm (ISIS) now and as a result they don't want to try to understand anything else about the dynamics in the peninsula or the humanitarian tragedy. Something even most of the Palestine advocacy groups and individuals seem to overlook when they talk about Gaza is the relevance of the Sinai Peninsula and the Egyptian side of Rafah to the cause they are in support of. 1- The Egyptian military's diplomatic and military collaboration with the IDF and the US, and most recently European governments fighting ISIS. 2- The US/Israeli/Egyptian counter-terrorism measures and policies in the peninsula since Camp David. 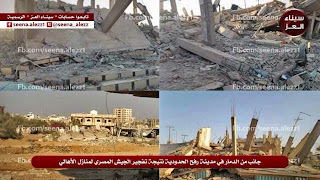 3- The elite Egyptian and media perspective which overlooked Sinai for a very long time. 4- The biased and/or ignorant international media and rights groups. The Sinai Peninsula has fallen a victim to the Camp David treaty for decades due to its geographical proximity to the heart of the Arab-Israeli conflict. Since the military coup in 2013 especially the price paid by the Sinai peninsula and its Egyptian residents escalated, the coup made it even more isolated from Egypt and the world geographically, culturally, and also communications wise. Sinai is directly affected by the US/Egypt agreed upon "War on terrorism", which lead to more destruction of infrastructure, homes, and personal property of the people of Sinai. The Egyptian civilian population there has suffered the injustices of random arrests, indefinite detentions, and ongoing human rights violations. The continuity of the oppression of the Egyptian population by the Egyptian state since signing Camp David and most recently after the military coup welcomed and applauded by the US and Israel is essential to neutralizing and sidelining the role of the Egyptian resistance in the conflict. In addition, there hasn't been any developmental efforts for the social and economical conditions of the Egyptians in Sinai. 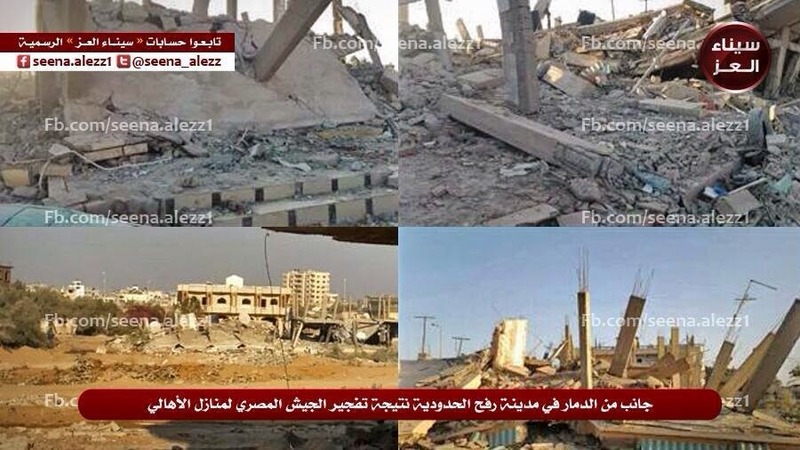 On the other hand, Israel has worked hard on developing the parts of Sinai it still occupies. Unlike how most of the media likes to portray it, Sinai is a real humanitarian tragedy in Egypt. 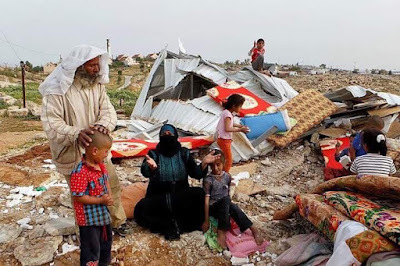 It is not just a militant breeding peninsula, the US, Egypt, and Israel are destroying this place for so-called security purposes and to protect colonial interests. These photos are from 2016. 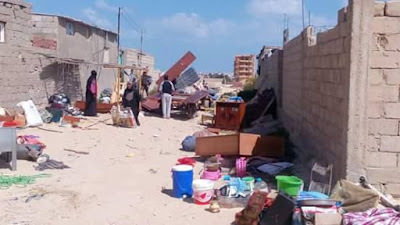 Sinai residents in El Arish city after they were forced to evacuate their homes and after their homes were destroyed by the Egyptian military. This continuous operation is part of the Egyptian coup regime's so-called "war on terror" aided and supported directly by the United States. Up until today these demolitions and violations against basic rights continue with the silence of the international community. It's worth mentioning that researcher and investigative journalist Ismail Al Iskandarani is in prison since October 2015 because of his research and activism around Sinai. According to the page dedicated for Ismail's campaign: Ismail Alexandrani is a sociopolitical researcher, investigative journalist and expert in Egypt's extremities and Sinai affairs. He studies social and youth mobility, Islamist movements and the state-religion relation in Muslim societies, in parallel with his Human Rights activism. In addition to the classical false accusation of "Belonging to the Muslim Brotherhood, a terrorist organization according the Egyptian law", the Egyptian state is accusing Ismail of literally "holding a position/opinion on Sinai different from the position of the state". This is exactly what we are criticizing here, the Egyptian state doesn't want anything said about Egypt that's not the official position of the state. Ironically, the international community is holding the same view of the Egyptian state. 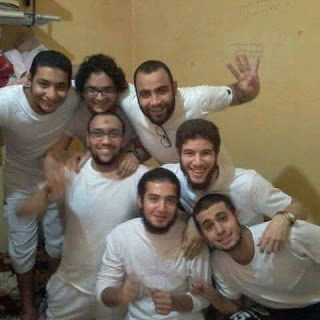 In the meantime, the Egyptian journalists and researchers who are trying to expose the truth on what's really going on in Sinai are getting thrown into prisons. Think twice the next time you read a headline on Sinai.